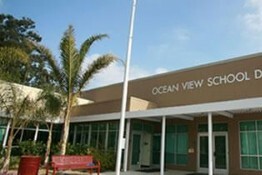 Established in 1870, Ocean View School District is one of the oldest in Ventura County. It began with a one-room schoolhouse on the corner of Olds and Hueneme Roads, on property purchased from county pioneer Thomas Bard for $20. Students who wanted to continue their education beyond the eighth grade rode their horses about 45 minutes to Oxnard High School. Ocean View School District is located just north of the beautiful Santa Monica/Malibu area, and extends north-ward to the outskirts of the city of Oxnard. The district covers an area of 80 square miles which includes the Point Mugu Naval Air Station as well as 15 miles of lovely Pacific shore line.